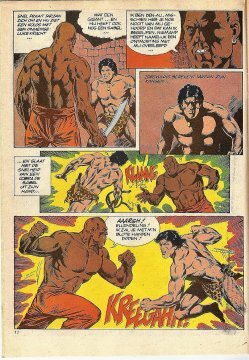 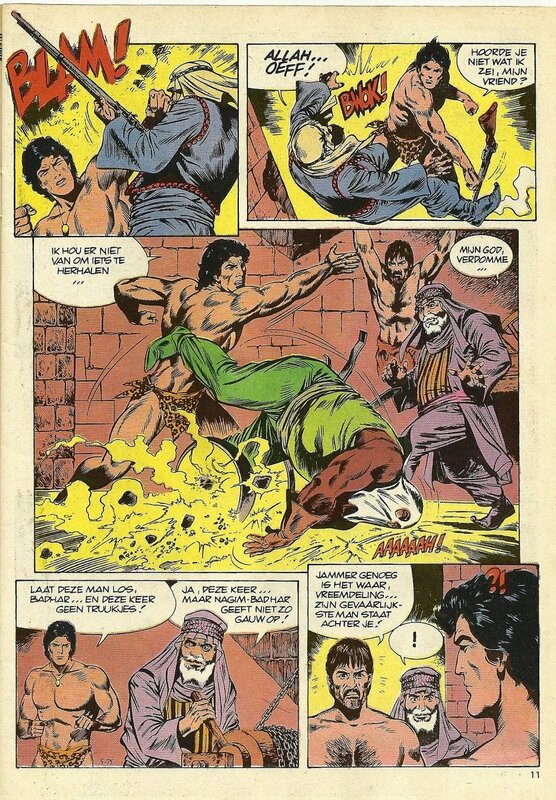 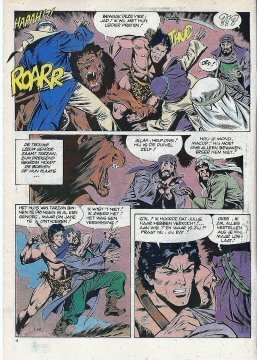 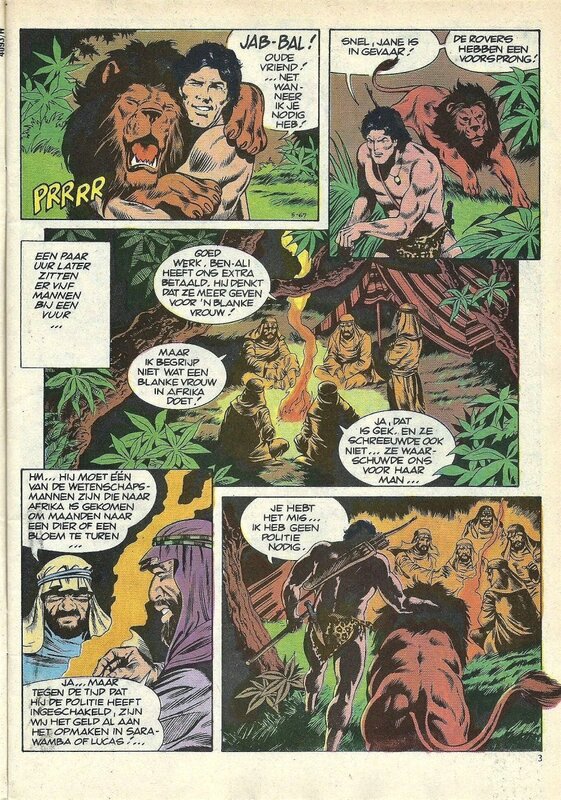 Tarzan and the City of Slaves is from the Yugoslavian comic magazine, Stripoteka 1984. 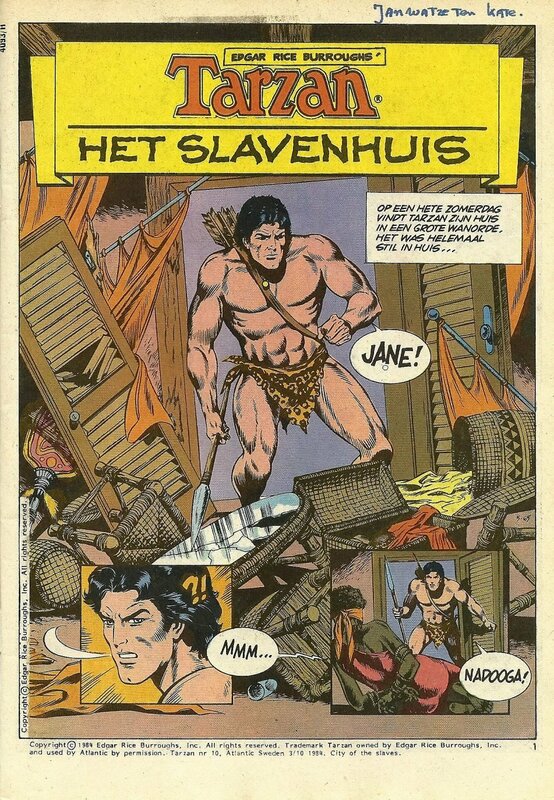 This is the version from a Dutch Tarzan comic book. 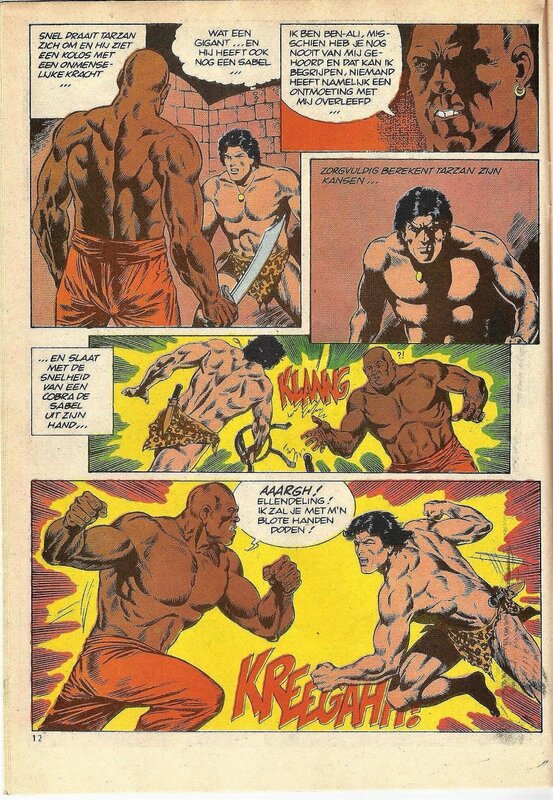 The title for this color story, chosen by the then European ERB rights holder, Atlantic Sweden, is a silly one. 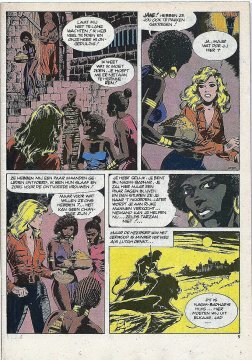 Nowhere in this rather boring story is a "City of the slaves" to be seen. 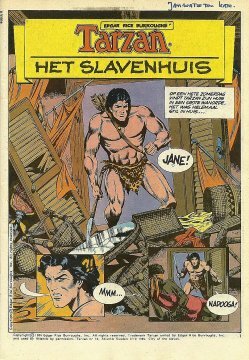 Better is the Dutch title, which means "Slave House", for indeed it is a slave house, where Tarzan finds Jane and other women. 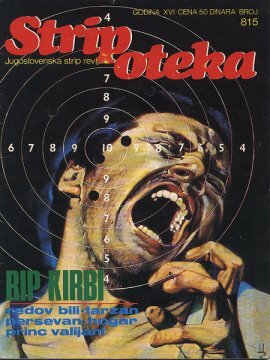 The original Serbian title "Potraga za Otmicarima" just means "Search for the Kidnapped". 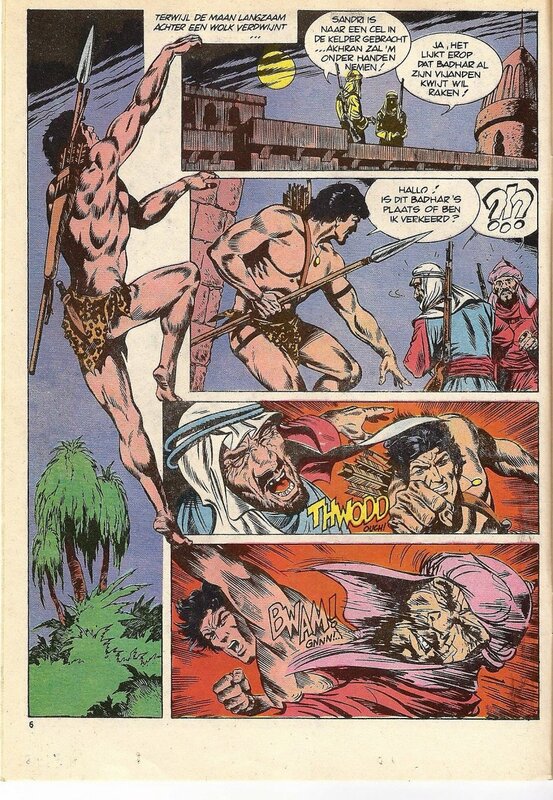 In the story, a slave trader makes the fatal mistake to kidnap Jane, Tarzan's mate. Tarzan and his formidable companion Jad-Bal-Ja catch the slavers, find the slave house and clean up. Even a giant squid has to be disposed of -- maybe the slave house stands in a harbour town. 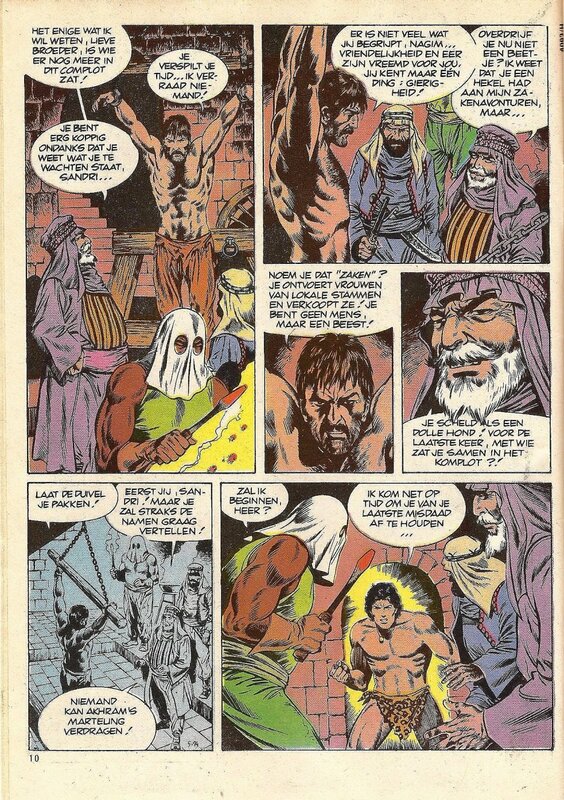 Oh yes: A decent Arab, who has nothing to do with the dirty business in the house and was therefore tortured in the dungeon, has to be freed. 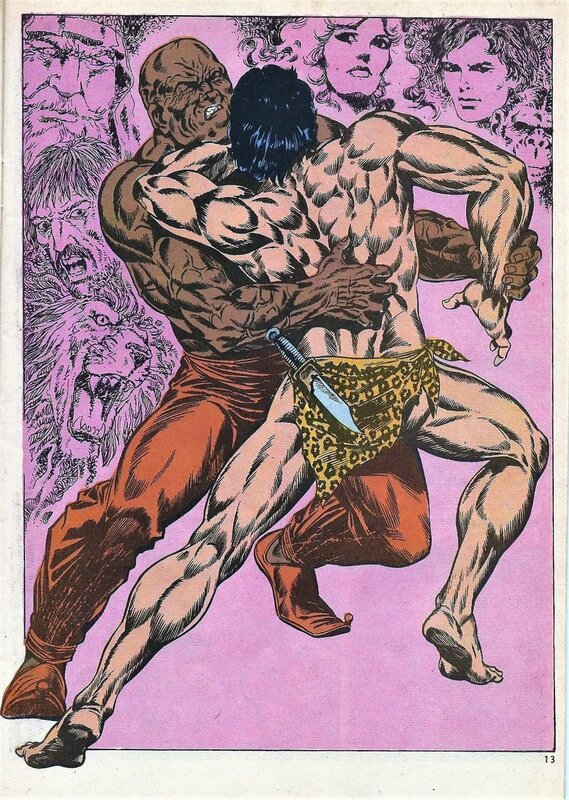 There seems to have been an uproar or so. 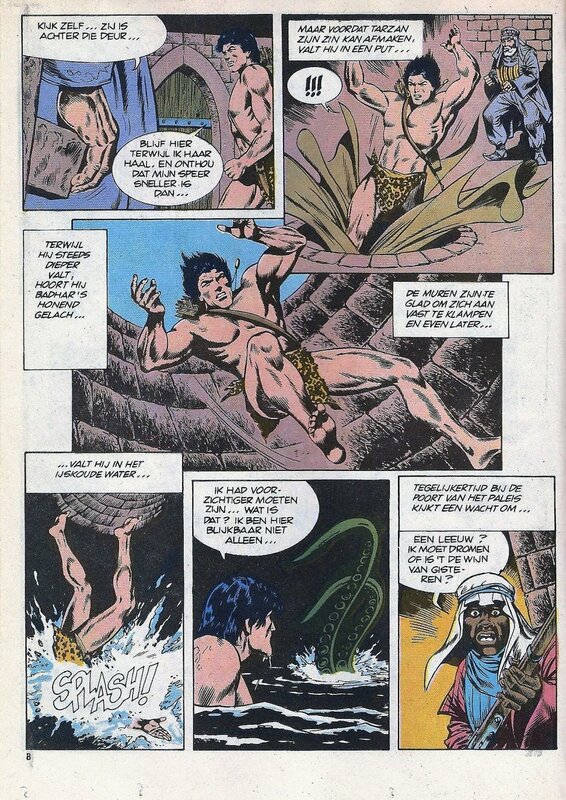 This was really a lame story. But don't be discouraged: Better things are to come.